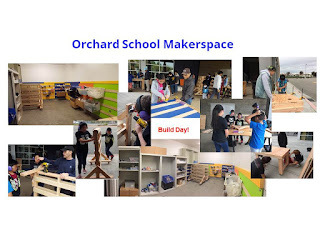 The maker space at Orchard School came into being this year with a community build in October. Although our space is small, it is well put together and well stocked. Several teachers have had the opportunity to use the maker space this year and we hope that more teachers will discover the maker space and use it in their lessons in the coming year. This year we had a cohort of teachers that was comprised of those that are passionate about making. We met together monthly to learn how to use the space effectively and to incorporate making into our curriculum. Each teacher in the cohort used the maker space with their classes and all had a positive experience and indicate that they hope to use it more frequently in the coming year. In the cohort we learned about a design process developed at Stanford called “design thinking”. In this process students first use empathy to learn about the target audience for a design before defining the project and brainstorming ideas. 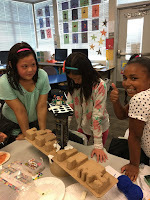 One of our cohort teachers, Ms. Jackler, used the space for students to build bridges as part of a connection to our “mystery science” curriculum. Students needed to build bridges to allow a car to pass underneath. Ms. Jain, another cohort teacher, had her students design and build leprechaun traps. 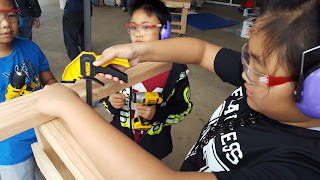 The students were able to choose from the wide variety of materials in the maker space. They worked in cooperative groups to solve the problems associated with catching an elusive leprechaun. Ms. Gould and Ms. Sakoda challenged their students to design a device that would safely allow an egg to be dropped without breaking. 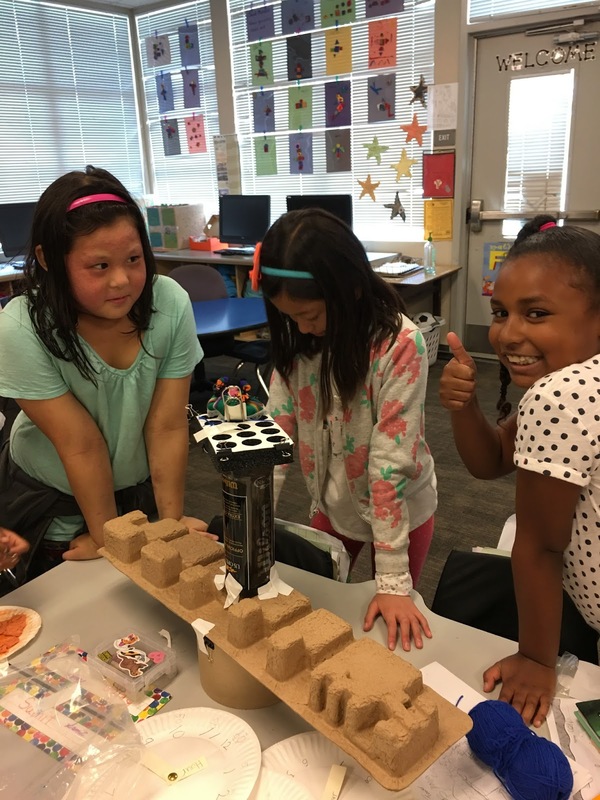 Ms. Sakoda’s class also participated in an activity for students to build a tower using only a limited selection of materials. Their empathy goal was to make the tower sturdy enough for a character to feel safe while “standing” on it. We are excited to see the maker space being used and look forward to it becoming an integral part of classrooms across Orchard School!